In my mind, though, I had planned on being on top of this holiday. 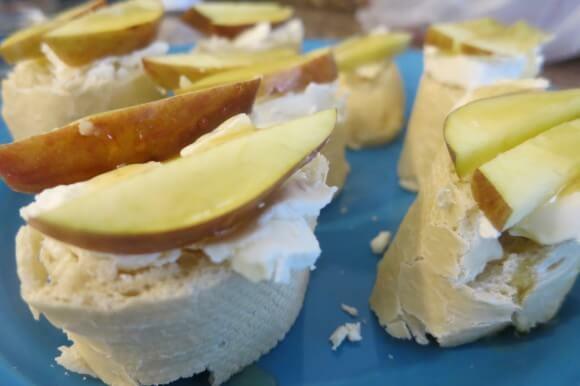 Mainly cause I did pin some really great recipes for apple creations and I wanted to eat them. I mean, seriously, doesn’t this apple honey challah look delicious? But then Friday after school friends came over and we played on beach until it was time to eat the delivery pizza. So that day was a bust. But Saturday I woke feeling like I wanted to be productive. Score! Unfortunately I soon realized I was only interested in being a certain type of productive, where I wanted to do something but not anything I actually needed to do. 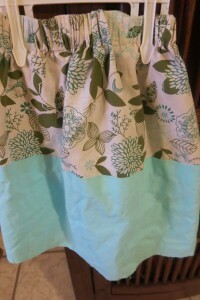 So I made Averi this lovely skirt instead. Then Sunday was gorgeous in the morning and we felt like we had to get some family beach time in while we could, as it’s been so incredibly rainy. And then before you know it, it’s too late. Luckily, I can always scrounge together a Plan B. And it was very easy to do so this time thanks to my beloved new store, Aldi. For those of you who donâ€™t know, Aldi is the poor distant cousin of Trader Joes. Its owned by the same people, but is incredibly different. There are no name brands, no beautiful displays (most stuff is actually kept in their packing boxes),Â you have to bring your own bags and pack your groceries yourself, and you have to pay a quarter to get a shopping cart. It makes Presidente look high end. The best part of Aldi is that they are not consistent with what they carry, so it is like a treasure hunt every time you go there. Which also means you are totally justified in buying anything that catches your attention, as you canâ€™t guarantee it will be there next time. 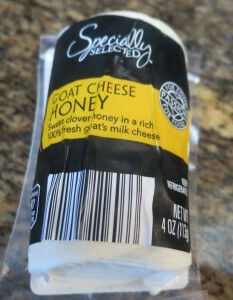 Which is why a few trips ago I bought a few logs of flavored goat cheese that they had for only $3. And one of those flavors was honey goat cheese. It is incredible. 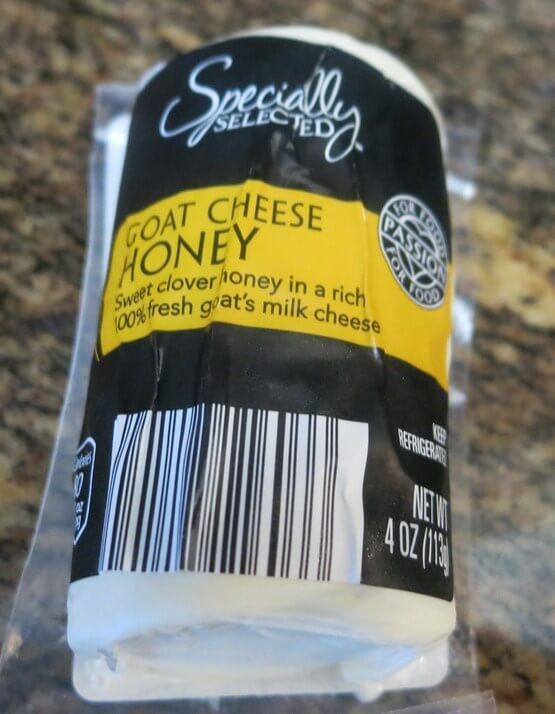 You can really taste the honey in it, which combines beautifully with the creamy goat cheese. So I slapped it on some bread, topped it with apples, and drizzled even more honey on top, cause its more honey.